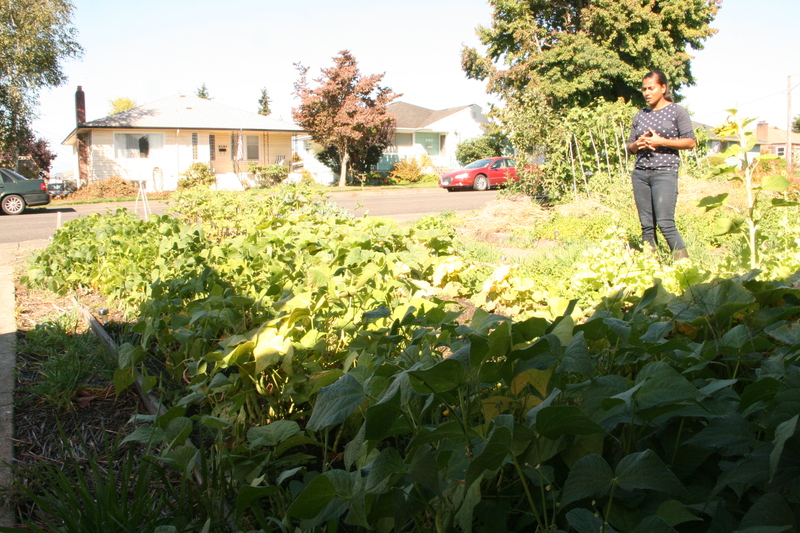 Almost two years ago, Karesha Peters traded her landlord’s grass for a vast city garden in Manette. She did all the heavy lifting herself, tearing out the lawn and replacing it with boxed beds now filled with butternut squash, chard, tomatoes and more. The work, she says, was all worth it. 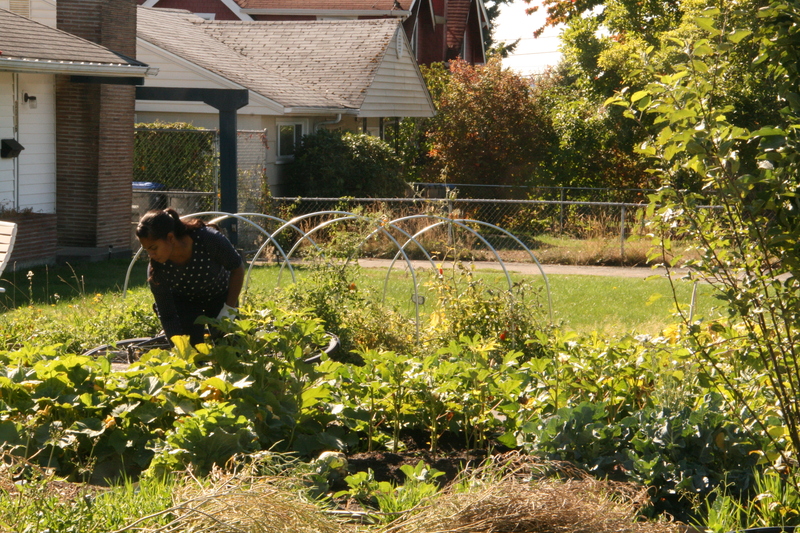 “I can’t imagine not growing my own food,” she said. Peters maintains one of the prettiest gardens in the city, using the fruits of her labor to sustain her family all summer long, and selling the overage at the Bremerton Farmer’s Market. The child development specialist, who is originally from South Africa, got into gardening eight years ago while living in Seattle. Since moving to Kitsap County, she has grown a garden on a family property in Seabeck until she started her own in Manette in early 2014. She’s honed her craft, as evidenced by her taste for the boldest flavors around. I’d never had New Zealand Spinach before, but its sweet flavor makes me struggle to eat anything but in the Spinach department. Her carrots always go fast at the market; even if you miss them, don’t worry, because she overproduced green beans a bit this year following robust demand at last year’s market for them. In the spirit of city gardening, she also planted a healthy amount of strawberries, which she allows the neighborhood kids to take off the vine for a quick snack. Almost anytime of year, her garden is in production. She still loves that first sprout, whenever it may be. “That initial pop out of the ground gets me every time,” she said. 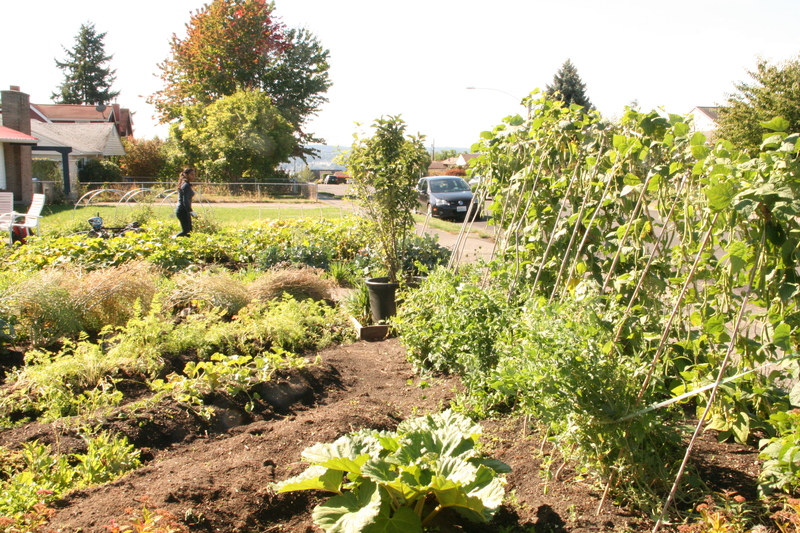 I’m hopeful she’ll be among the gardeners featured when the biennial Manette Edible Garden tour returns in 2016. But if you wish to try Peters’ farm fresh vegetables this year, better hurry: Only three Thursdays — Oct. 1, 8 and 15 — remain in the farmers market season.